Wise Tips was founded by two of Malaysia's most famous Asian Handicaps Tipsters (their names are kept confidential for security reasons) in May 2008, with main understanding of promoting consistently accurate soccer betting tips for punters worldwide. With a combined industry experience of over 30 years, both of our tipsters have extensive insider links throughout the Malaysia and Asia. We are now looking at two professional, full-time soccer bettor, who earns their living purely from soccer betting. Information are carefully gathered, micro-analysed and selectively hand-picked by our tipsters, to the highest confidence, every single match day, all year round. 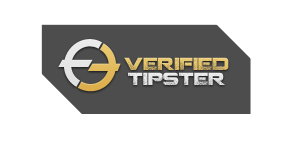 Our tipsters are taking the Asian Handicaps soccer betting industry by storm, and will continue to produce stunningly accurate soccer tips, consistently over time.